So much has happened since we took off on our big Australia road trip. They say time flies when you’re having fun, and here we are already 6 months into our family adventure. The planning, the anticipation, and all the excitement builds before departure and before you know it you’re living your dream. The great Aussie road trip, doing the lap, is a dream of many and not a day goes by that I don’t pinch myself and realize how fortunate we are. We always imagined we’d do this later in life, but later may never come and there really is no perfect time. So here we are, making tracks and creating memories. 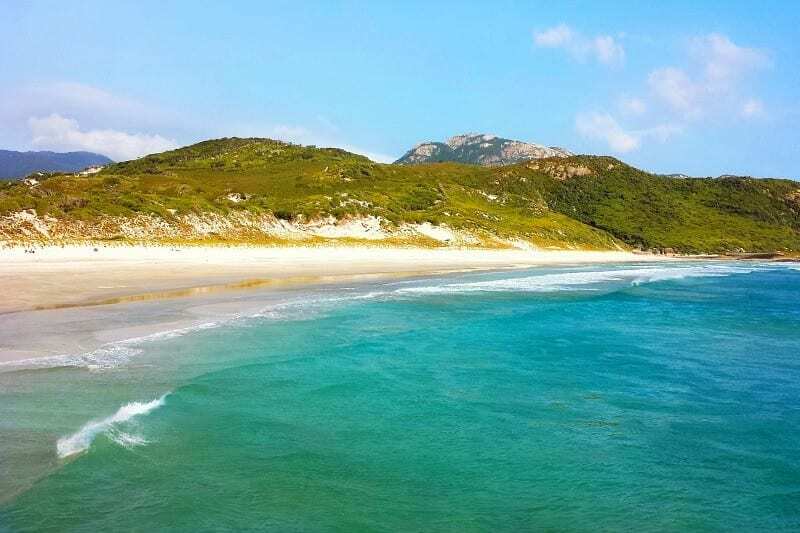 This post comes to you from our camper trailer in sunny Sawtell on the Coffs Coast of NSW. Not where we thought we’d be at this stage. Originally we were planning to go clockwise around Oz but we decided to reverse our trip and now we are heading north for the winter. Thank you all for following along. We love getting your local tips along the way, and we hope we’re showing you pieces of Oz that you’ll someday be inspired to visit. 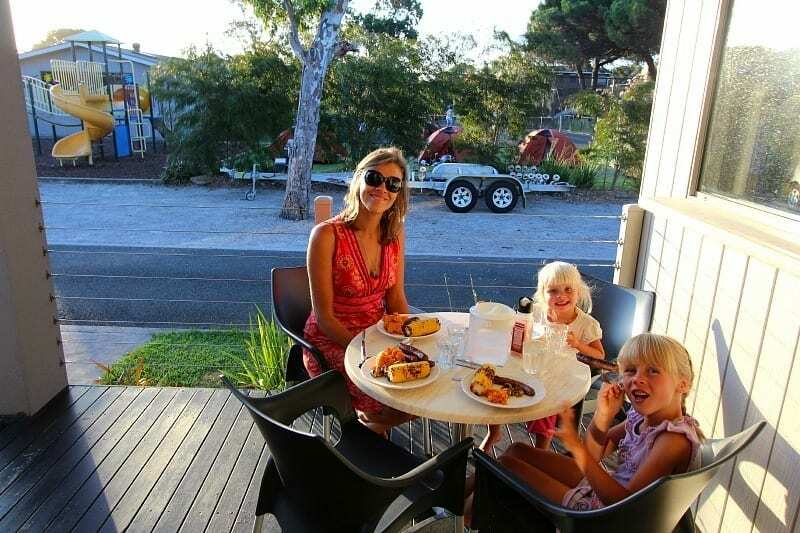 Types of Accommodation – Hotels, apartments, cabins, camping, hostels, camper trailer, house-sitting. Hottest Day – 43 degrees Celsius in Melbourne at Aussie Tennis Open, January. Best Guilty Pleasure – Coffee, whilst driving, is a MUST for me. Meltdowns in the car – Lost count! Worst Place to Drive – Melbourne CBD. Between their hook turns (turning right from the leftmost lane) and trams, get me outa there! Biggest Bummer – Kalyra’s broken arm last week. She fell off the flying fox at a playground in Armidale. Bugger! Bike Tyre Punctures – Three. That’s a quick run down on the basics. Let’s get into our major award winners now. We planned to visit Vic for one month, and they finally kicked us out after three. What a revelation. So many great destinations in a small area. And all within easy access of Melbourne. e.g. Phillip Island, Wilsons Prom, Grampians, Bright, The Bellarine, Great Ocean Road, Mornington Peninsula, Yarra Valley, Echuca. Victoria, we owe you an apology, and we wrote it here. Melbourne. No contest really. Hobart is the only other major city we’ve visited, and though it’s nice, it has nothing on Melbourne. This city has it all, just try and ignore the crazy weather, and your growing waistline from all the coffee and cake. Squeaky Beach, Wilsons Promontory National Park, Victoria. Hang on, ask me again in 5 minutes and I’ll have another answer. Impossible question. I could have said Hyams Beach or Wineglass Bay or Hazards Beach or…the list goes on. But those beaches already get enough promo. So I’m giving my vote to Squeaky. Shhh…just don’t tell the Victorians I told you. I sat on this rock where the below photo was taken for an hour and was blown away at the beauty of this place. Bright, Victoria. We’ve visited many great towns and Bright had a lot of competition, but we love the alpine scenery, the cafe scene, the walks, the bike rides, the river, and the kids playground is viewable from the awesome Brewery – which has the best cider ever by the way – how could you not love this place? Tough category. We’ve had some GREAT meals in some top locations over the past 6 months, bit I’m finding it hard to single out one establishment as an OMG you must eat there. 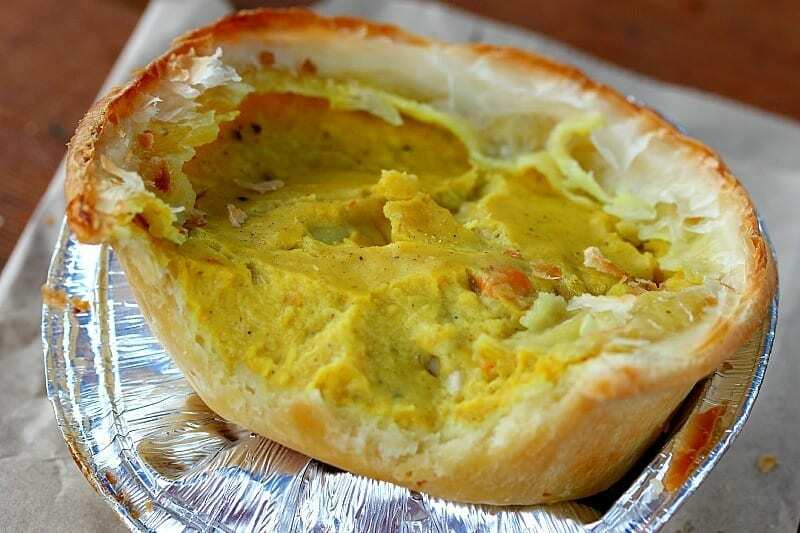 So I’m going to offer some memorable family moments and general dishes: Curried Scallop Pies in Tasmania are the bomb! Eating takeaway pizza with a bottle of wine on St Kilda Beach in Melbourne whilst watching an awesome sunset was memorable. 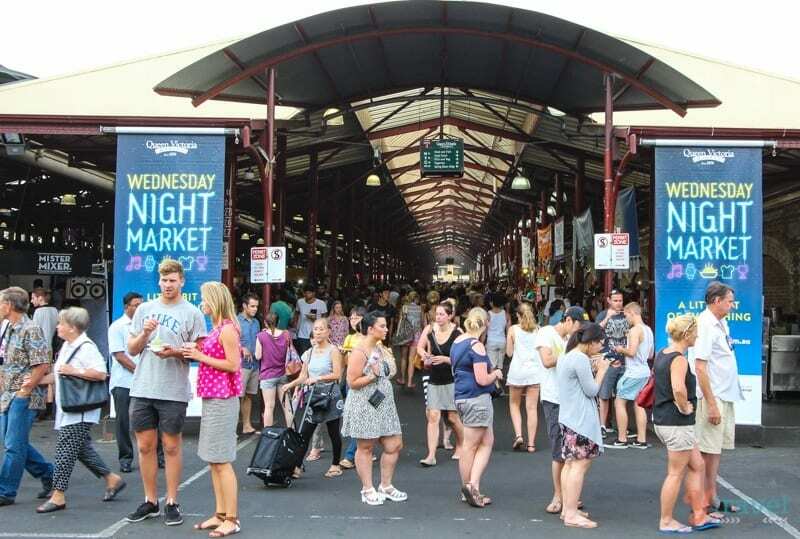 The bustling night food market at Queen Victoria Markets in Melbourne is tops. Takeaway fish & chips on the water in Sorrento, Victoria. Sometimes simple is the best! 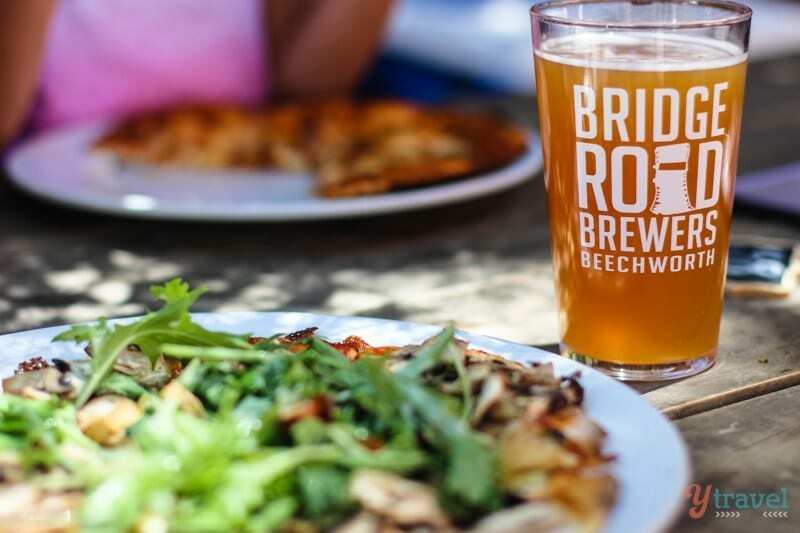 Bridge Road Brewers, Beechworth, Victoria. Australia is slowly getting better in offering more independent breweries and this one in Beechworth ticked a lot of boxes. Great craft beer, great story, great setting, great pizza and kid friendly. Another tough category. Can I just say Melbourne? There was this place on Smith Street in Collingwood that Caz loved (name now escapes us sorry). And the Old Echuca Post Office Cafe in Echuca made awesome coffee! Oh, and the Raw Ingredients Cafe in Queenscliff makes the best chai latte ever! Night Market, Queen Victoria Markets, Melbourne. This place was a global street food extravaganza with offerings from all over the world. It was like any night food market you’d find in Asia, and one of the best places to eat in Melbourne. Runs over the summer months. Get there! Mudgee, NSW. It took me 40 years to visit Mudgee and I grew up just 4 hours away. It won’t be another 40 before I go back. Great wines AND town. 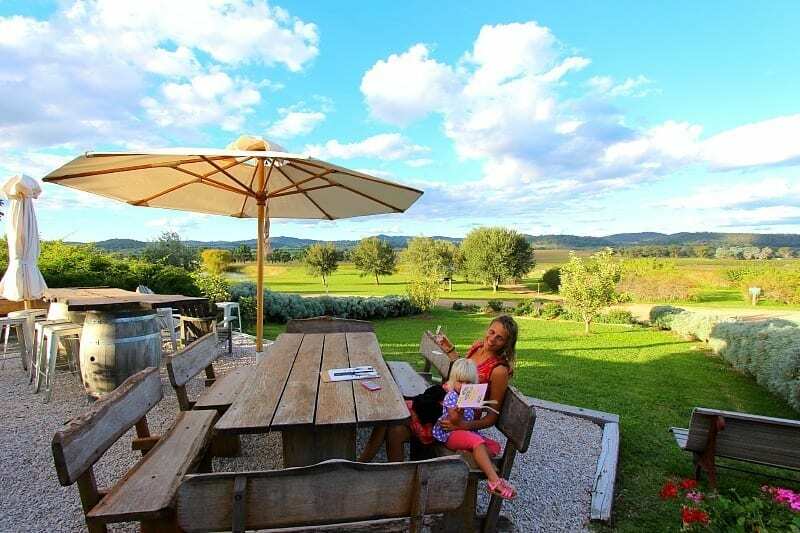 Highly recommend a visit over the more famous Hunter Valley. We loved being able to cycle between vineyards. And don’t miss the brewery in town. Post coming soon! Great Ocean Road, Victoria. Finally found out why this drive is so famous. It matched my expectations and we got lucky with the weather. Amazing scenery, great towns, walks, waterfalls, rainforests, wildlife. Many people drive this in one-two days, we took 8 days. Check out our 16 highlights. Wine Glass Bay to Hazards Beach loop, Tasmania. When you can combine two of Australia’s best beaches in the one walk (Wineglass Bay and Hazards) you know it’s good one. And to be standing alone on famous Wineglass Bay was incredible. Get up early to beat the crowd folks! Mantra Apartments at Lorne, Great Ocean Road. 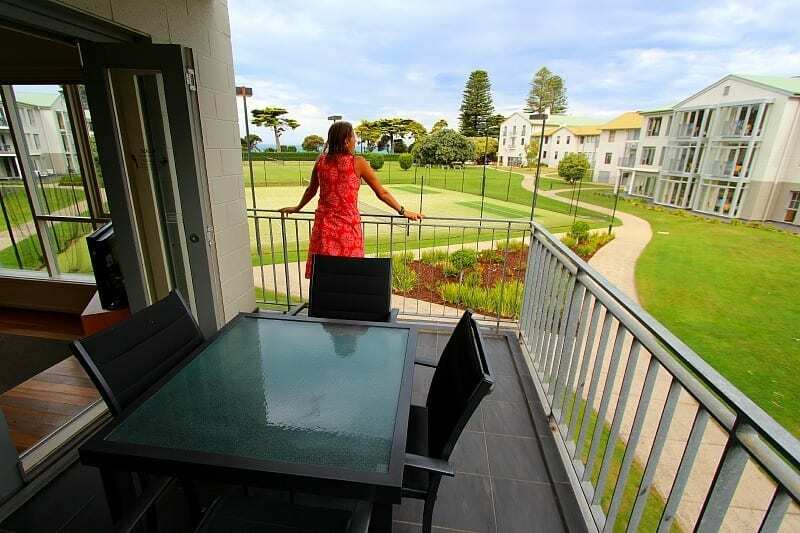 Lorne is a great town to visit, and we loved this Mantra property. Awesome location right on the beach and the rooms were very accommodating. Post coming soon! 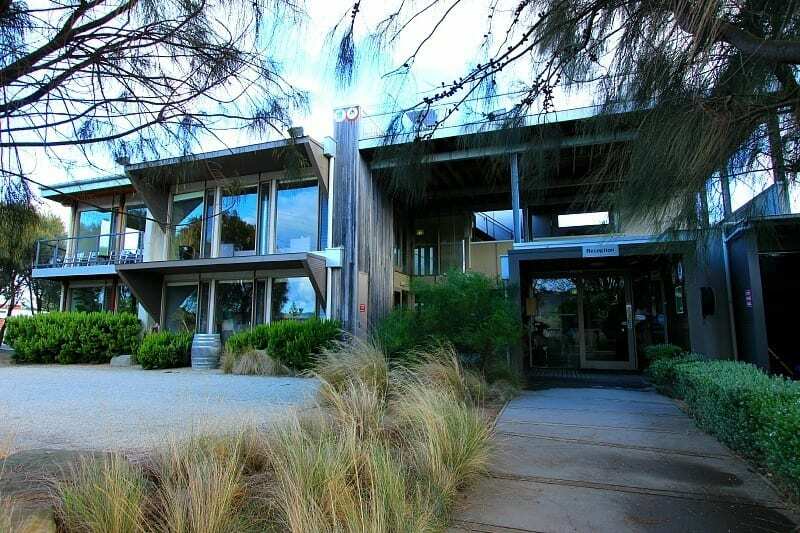 Apollo Bay Eco YHA, Great Ocean Road. Apollo Bay is a nice town, without being great, but we really enjoyed this hostel. Eco and family friendly, great kitchen and public areas, and just a real homely place with a nice vibe. Post coming soon! Big4 Beacon Resort, Queenscliff, Victoria. 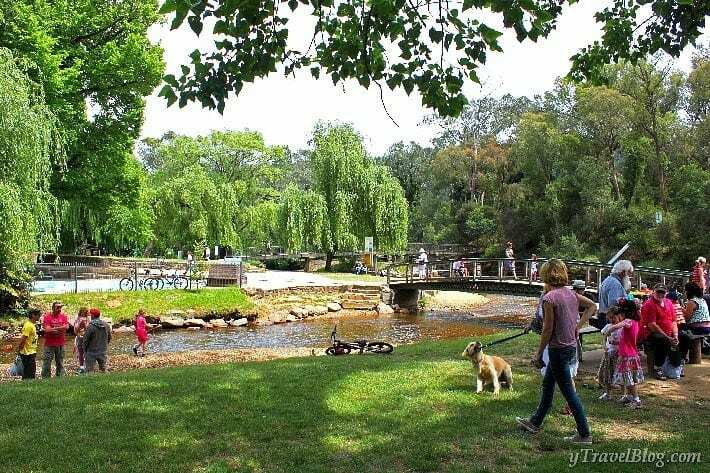 We’d never heard of The Bellarine Peninsula until we got a tip from a friend. This park and peninsula became our home for 3 weeks. 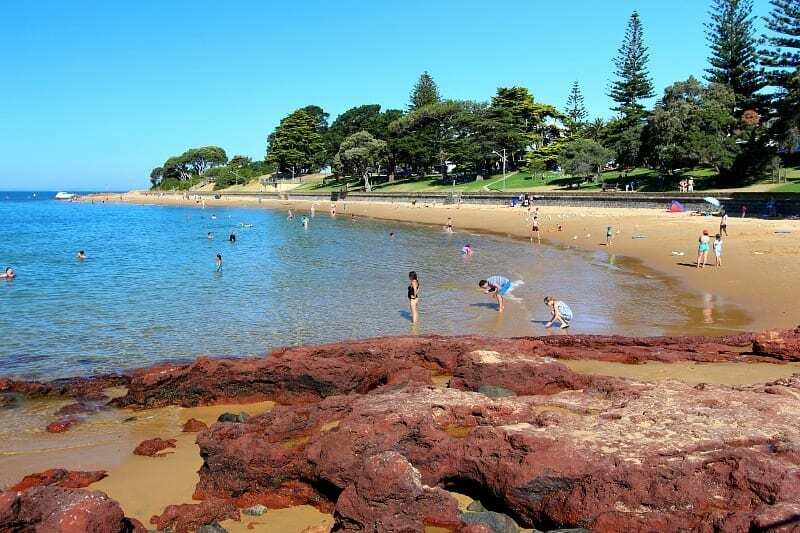 It doesn’t have the prime beach front setting like many in Oz, but they do a lot of things right – great activities, good indoor & outdoor playgrounds, great kids club, lovely cabins, friendly staff, and handy to many nice towns and only 1.5 hours from Melbourne. Aussie Tennis Open, Melbourne. Although it was 43 degrees celsius when we attended with the kids, we loved seeing live tennis for the first time. Such a great atmosphere. 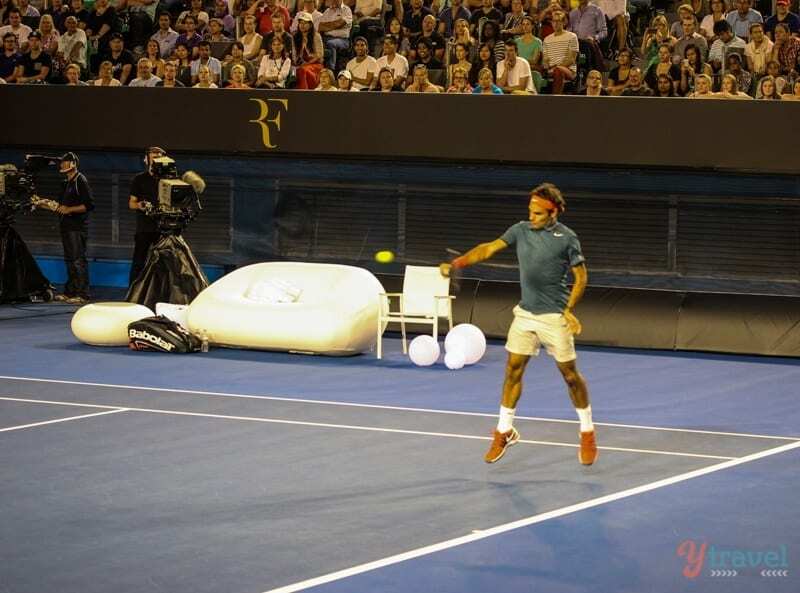 Three highlights were the family day prior to the tournament starting, seeing Raphael Nadal practice, and Caz got to watch Roger Feder play on Centre Court. We’ll be back! Dubbo Zoo, NSW. 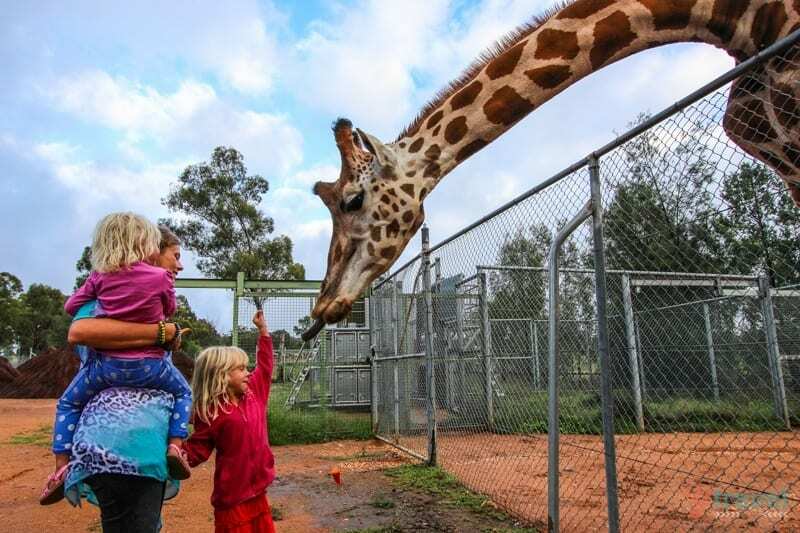 Our new favourite Zoo experience in Australia. When you can sleep inside the zoo, and ride bikes around to see the animals, you have one HAPPY family. Awesome variety of animals and wide open spaces. Phillip Island, Victoria. We thought Phillip Island was all about seeing the Penguin Parade, but it offers so much more. We spent 8 days here. 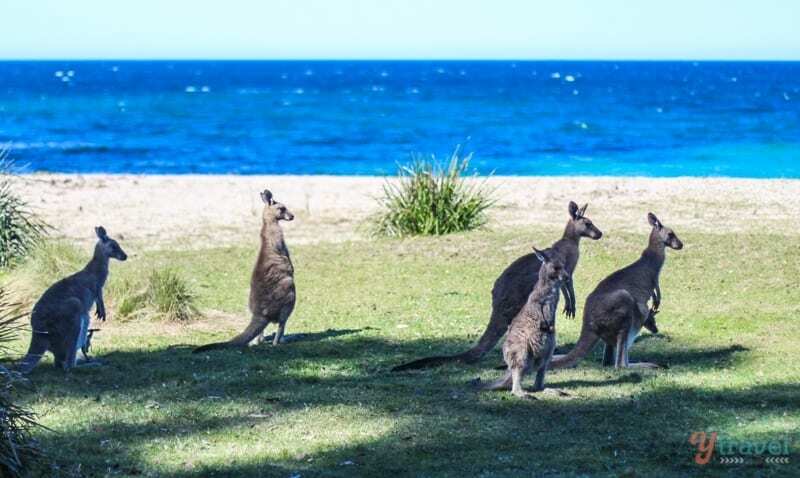 Stunning beaches and coastline, lovely walks, great family activities, wildlife, top vibe and easily accessible from Melbourne. Bruny Island, Tasmania. 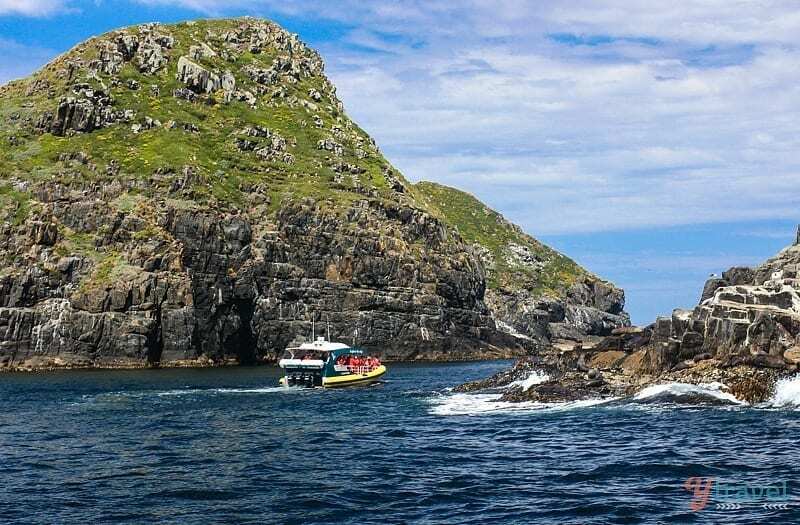 Rugged coastline, awesome cliffs and sea caves, wildlife, fun and informative guides. Tasmania at its best! 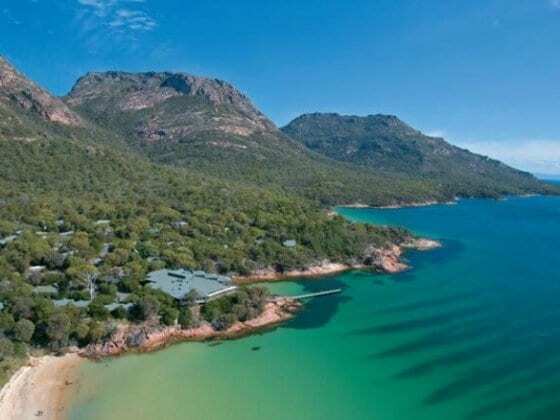 Freycinet National Park, Tasmania. 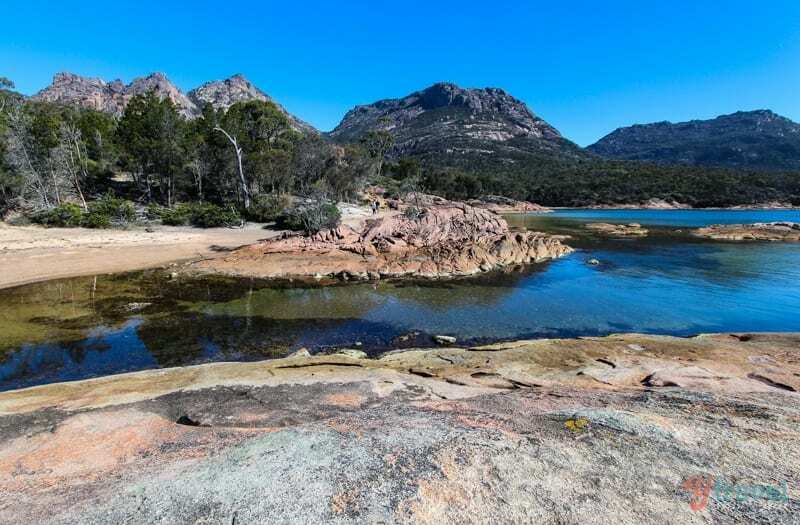 Imagine pristine beaches like Wineglass Bay, Hazards Beach, and Friendly Beaches, stunning walks, amazing bays like Coles Bay and Honeymoon Bay, and the incredible Hazards Mountains and it is easy to see why we love Freycinet. 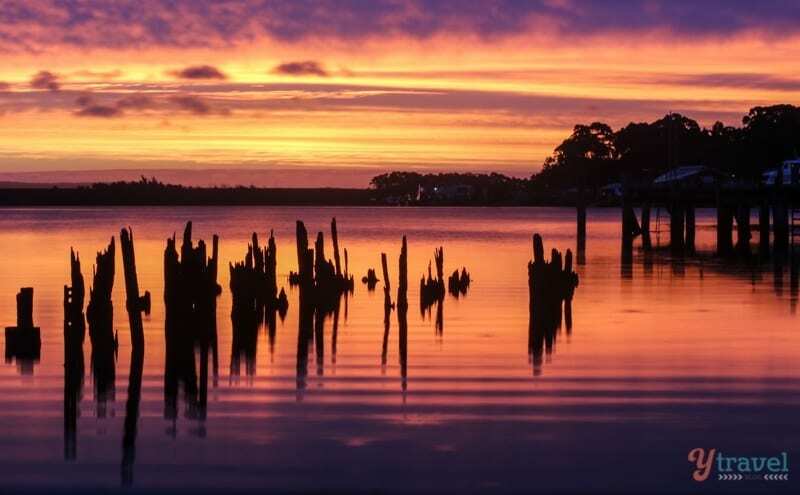 We witnessed this stunning sunset after our amazing cruise down World Heritage Gordon River. Wild Kangaroos on South Coast NSW. It’s amazing how many wild kangaroos we saw on the south coast. They’re on the beaches, on the golf courses, by the side of the road, in the camp grounds, in the National Parks. Was such a great experience for our kids. 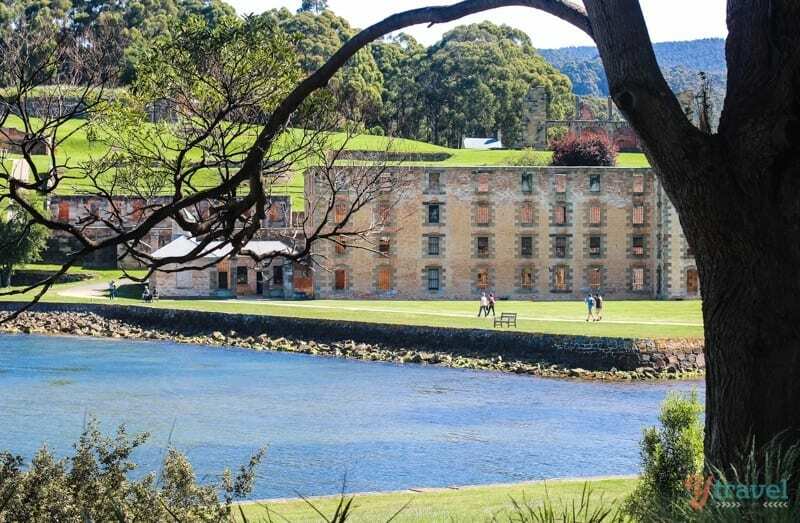 Port Arthur, Tasmania. 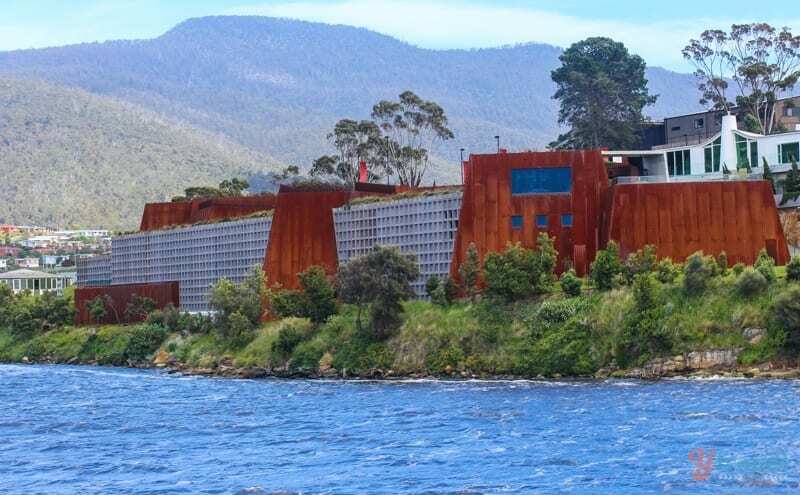 One of the best places to visit in Tasmania. Moving, interesting, sad, troubled, beautiful. Port Arthur has a violent and troubled history as a penal colony for some of Australia’s hardened convicts. And that’s just scratching the surface. We have lots more to come. To follow along the rest of our Aussie road trip as we explore Northern NSW, Queensland, Northern Territory, Western Australia and South Australia, get subscribed to our free weekly newsletter so you don’t miss our next posts. Plus, we have a new HUB page coming soon on our site where you’ll be able to follow our Australia road trip more closely, as well as HUB pages for each individual state where you’ll have access to our best content and tips for each state once we’ve visited them. What place do you most want to see in Australia? 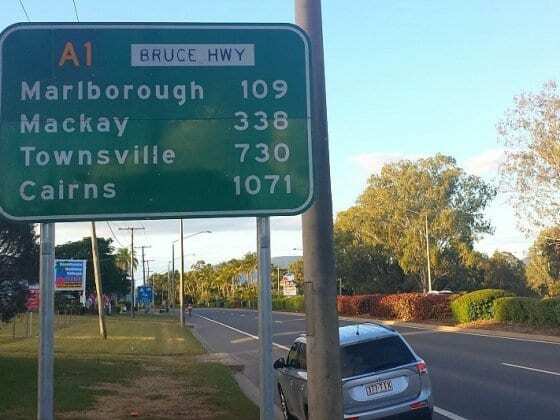 17,000 Kilometres on the Road in Australia – are we there yet? Can’t wait till you guys get to Perth! I might even still be here… I love this place, and all of WA. Not quite the same degree of hustle and bustle as over east – and maybe lacking in the number of tourist attractions – but it’s a beautiful and fun place to be. You’ll enjoy canoeing through the tunnels underneath Fremantle Prison I’m sure, and we’ve more kangaroos – and quokkas – than you can shake a bent stick at! We have visited Perth before Tony, but only briefly. Looking forward to exploring the city and surrounds with some more time. And thanks for the tips. Great post. It looks like an amazing place…. Keep sharing..! Your posts just make me want to get back to Australia to do everything we did again and then all the things we didn’t do. Agree with you about driving in Melbourne CBD we had the use of a car but chose to use public transport as much as possible. The traffic! The hook turns! And we come from car city, Birmingham UK. I miss Lentil as Anything, The Espy in St Kilda and Riverland, happy days in the hot sun with cold beer. And most of all the friends we made. Luckily Melbourne’s public transport is pretty good (trams, trains). And it’s how we prefer to explore a city anyways. It was only the odd occasion we had to drive in the CBD, and I think all the locals know that too. Riverland Bar is great. We never got to the Espy in St Kilda. I love reading all about Australia! I’m moving there in February with the work & holiday visa, and this post just made me even more excited about living n Melbourne! I’ve heard it’s one of the best cities in the world, and I think what you said about the coffee scene just won me over even more. @ Hannah – You will love it when you get here. I have been fortunate to travel through a lot of Europe and the UK and being to most of Oz (except Perth), I will say that I believe we are the city that feels the most like Europe/UK. 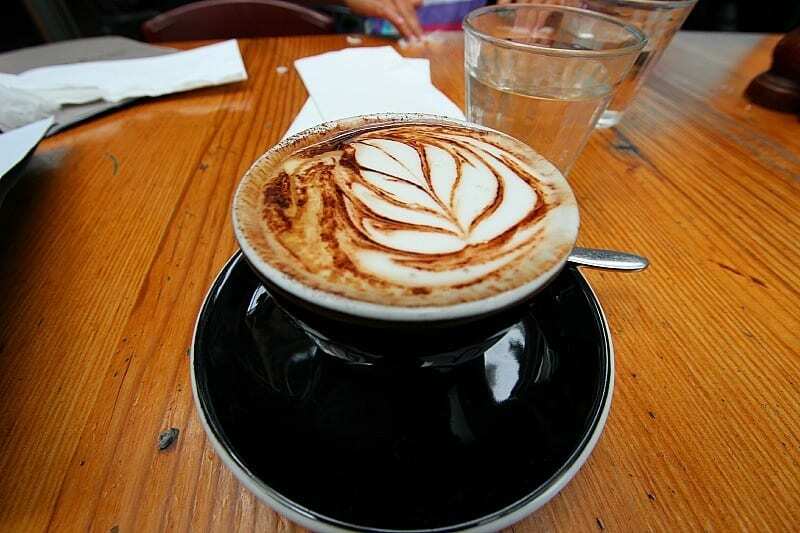 You will love the coffee as it is sensational right through from the city to the suburbs and country towns alike. 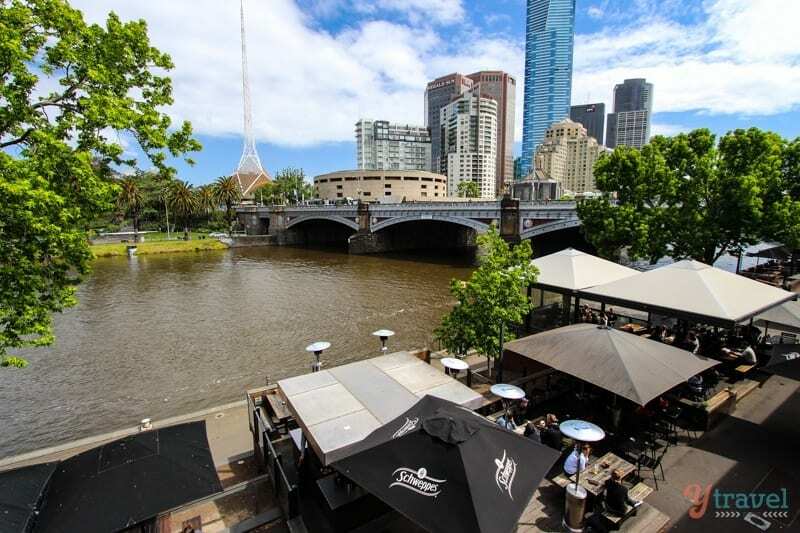 While Melbourne, like all cities has its ‘cons’, the Pros far outweight and there is a reason we have won “the worlds most liveable city” two years running. Awesome Clarissa thanks for sharing your thoughts and passion. We were so glad to get to know the real Victoria! Looks like it’s been a blast so far! Sorry to hear about Kalyra’s broken arm, though: hope it mends fast! She’s doing well Sam, thanks! 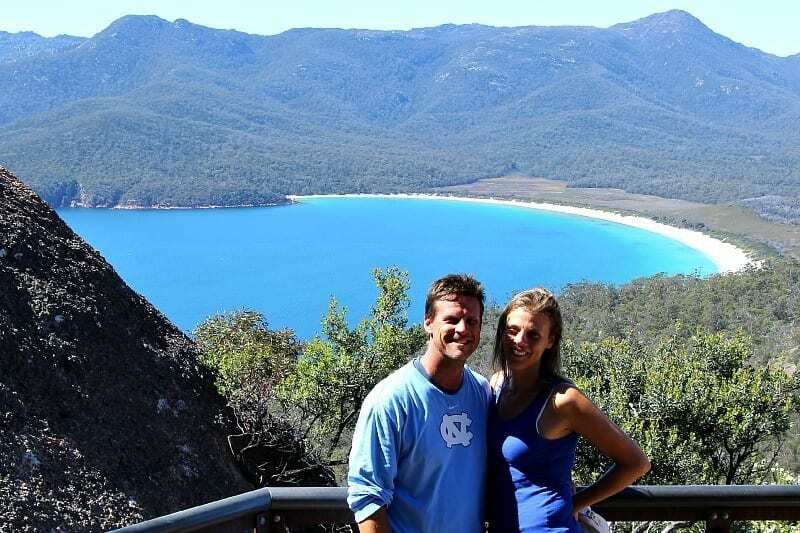 Caz and Craig, it is great that you have really enjoyed some of our favourite places ever! We lived in Melbourne for 10 years and made the most of every place you mentioned. We also loved Bright – we travelled there quite a few times during our time there. We went to Tasmania for our honeymoon so your stories there also bring back many great memories. We currently live in Sydney (we are up to 8 years of living here now so catching up to Melbourne) but Melbourne is still our favourite place to live – maybe we will get back there one day. You are now heading to another place where we have spent a lot of time – Queensland! I hope that readers -especially other Australians- take note of how CHEAP it actually is to do what you’re doing with a family. There’s one big name travel blogger whose face I’d really like to rub this article in, who I recall telling people stupid things like a can of coke cost $5… Clearly the guy had never heard of a supermarket. Can’t wait for you guys to get to the outback! Supermarket prices are much better aren’t they Amanda. I can’t believe it’s been 6 months already! I love all your posts and this tops them all. I’ve been dreaming of the day when I can make a trip there. Hopefully you will have published a wonderful book on your year-long road trip of fascinating and fun places to visit throughout Oz. I still can’t believe it’s been 6 months! Seems like just a month or so ago. Enjoy your next 6 months. We will be right there with you! Who knew Australia could have so many “bests”! Actually, I totally knew it could – you guys are seriously making me want to save up for a big OZ trip, too! I’ve never been to Australia and this is inspiring me to make it a long trip with my kids as soon as possible! Renting a camper and tooling around sounds just perfect. We too just celebrated 6 months on the road in Oz!! We’ve got 9 months to go. Best team car song ever! We are counting stars the whole way along too. 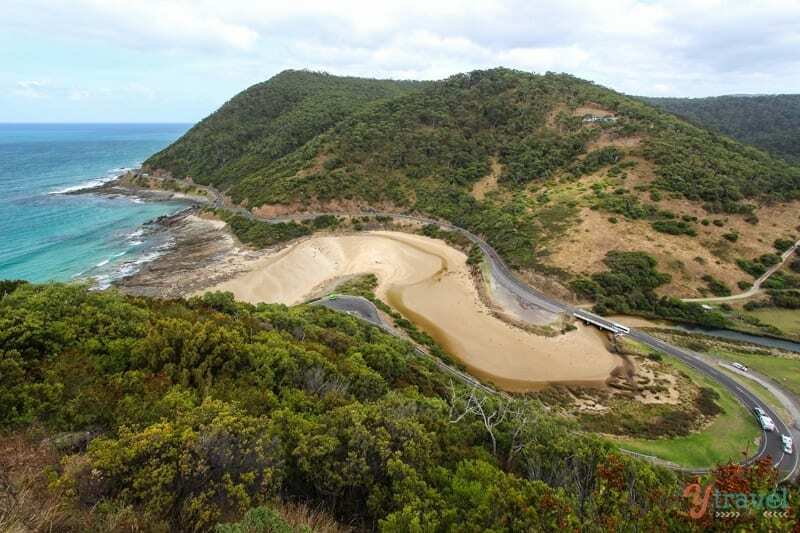 The Great Ocean Road is amazing. But trust me when I say that some of the SA coast line trumps it big time. Mainly because it’s not so touristy. The Eyre Peninsular has some of the most spectacular cliffs and formations and no one else in sight. Well done Heike on your trip. And thanks for the heads up about the Eyre Peninsula, sounds awesome!!! Fantastic list guys! It has been fun following your trip from over here in SF, although makes me a little homesick at times. Have to say that you photography skills have come along in leaps and bounds over the last 6 months. Cheers mate. Thanks for following along! Great post and very interesting to read. We are on the road for 5 month now and it is pretty interesting to see the differences and similarities in travelling and costs. Safe travels and see you somewhere on the road. Have really enjoyed your trip so far although i disgaree about Melbourne, have never found much of interest there… BUt i do agree about the hook turns. We got stuck in peak hour traffic on a friday night trying to get to our hotel, in which we missed the turn off and had to drive around for another 45mins to get back to where the turn off for our hotel was!! From a tourist perspective I can see Melbourne doesn’t do it for everyone, but we think it has everything as far as being liveable (besides the weather). That’s amazing! I am so happy to know that you guys liked Melbourne the most, because that’s the only city I have been to (other than Sydney) in Australia. I am so happy to have traveled to the best! It’s incredible the way you have journeyed so far. All the best for the days ahead. Seems like another trip to Oz is needed for you Renuka. Appreciate you following our journey! I love your sunset photo! And totally agree with Melbourne as the best city and Victoria Night Market as the best market. I loved the market. During the two months I spent in Melbourne, we visited the market almost every Wednesday. The music was good, the food amazing and it was fun wandering around the stalls, drinking some Sangria and dancing in front of the stage :). I miss those days and my little routine during my travels. Enjoy the future months of your trip!! Sorry to make you cry (in a good way). Thanks for sharing those awesome photos! My aunt is living in Melbourne Australia and she told me that it’s so nice in there. She has a beautiful flower beds outside her house. You MUST come and stay with your Aunt Marie! Alot of places in Aust actually that I want to see – Uluru tops the list. Coober Pedy, Alice Springs, Darwin, Broome, Kangaroo Island and I’m sure there’s way more! Great list. Hope to visit all of them too! Wonderful article! Glad to know you have spent a awesome road trip for a long time, and your word “Best” really motivated me to visit Australia. 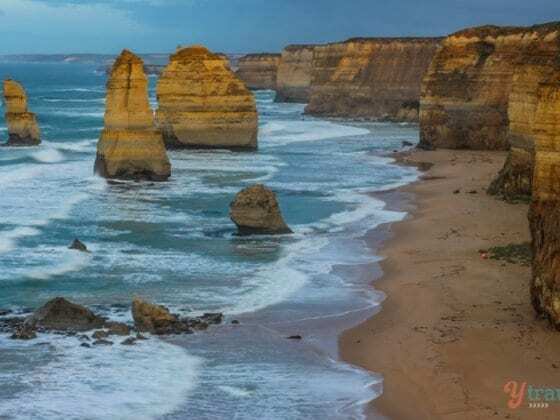 And this article will help them who are planning a road trip to Australia, all the things you have mentioned in this post that really need to know before planning a road trip. 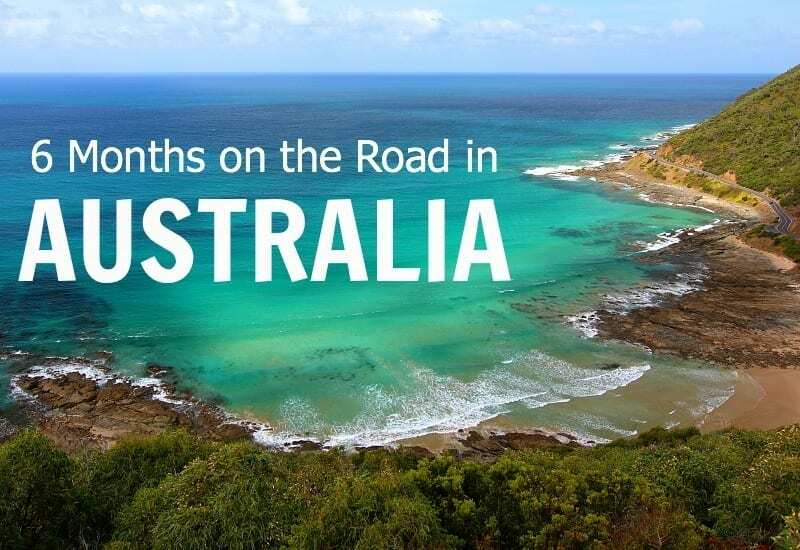 Thanks for sharing these great information on Australia road trip. It was a tough choice choosing our “best” for each category. We are spoilt for options! We’re planning a 6+ month roadtrip in Australia and reading this I can’t wait to go. We’ll probably start in Tasmania, so definitely looking forward to that, but there’s sooo much to explore… Love reading your stories as you travel further! I very much want to take a road trip up the west coast of Australia – in part because I have only been to Perth in WA, but it also sounds and looks amazing. Hard to argue with Melbourne. And yes, definitely excited about WA! That is one awesome adventure Down Under! Thanks for sharing. I so want to travel to Tassie after seeing those gorgeous photos of yours. I would agree with most of your list of ‘bests’, but I think Hyams Beach at Jervis Bay was a stand out for me. I am always amazed at some travel bloggers that claim it is very expensive to travel through Australia. I am interested in getting your opinion on ways to save money for a family of five. Do you plan on lodging ahead of time or wing it? Half your luck guys – great to see you are enjoying yourself. Australia has so much to offer, doesn’t it! Let me know when you are in WA! Money is always an interesting subject when it comes to travel and I am really curious your budget for food, because when I look at your blog and instagram is seems like you eat out all the time 🙂 And eating out in OZ is not cheap. Your posts just make me want to get back to Australia to do the whole thing we did again and then all the things we didn’t do. Agree with you about driving in Melbourne CBD we had the use of a car but chose to use public transportation as much as probable. This is one awesome article.Much thanks again.I do not recommend for this blogs so thanks modern way. Keep writing. Great post and photos, again. You will be blown away by what WA has to offer – more beautiful beaches than you can poke a stick at. Jeepers….your trip sounded amazing! My wife and I are desperately trying to build up the courage to pack up and hit the road for 6 months for a coastal drive in the USA. Our biggest concern is our kids aged 2 and a half and 7 and whilst we understand the daily grind with kids at home we are nervous of the unknown on the road with them. Any advice? Hi Gareth! I personally don’t find life on the road too different to life at home. the challenges are still there, but the moments in between are far more enriching. It’s daunting at first but after a few weeks you find your groove. You also get a free family travel planning toolkit when you do. And, we’ll be heading over the States, possibly in May to begin an epic road trip for 1-2 years. First stop will be coastal California up to Oregon so be sure to follow along. We’ll be sharing a lot more videos so you can see the lifestyle in action! Go for it Gareth, you won’t regret it! Caravan purchase. How did u sell it. Hi I’m starting a road trip to Australia in April 2017. I plan to live in my car and work in the go. Any job recommendations for working on a go? Jobs like waitress, bar back, bartender , call centre and any temporary job? I applied for a tourist visa already. Btw I love your website and how you list the best of everything in Australia. I plan to couchsurf as well and do not plan to spend anything on accommodation for 6 months. Good read, pity you guys didn’t go to Adelaide as the food, scenery, beaches, walking trails the list goes on is good. I have only been here for 2 1/2 years, originally from Perth, and love this state. We’re looking for do a trip around Australia with our 3 yr old. Wondering if you can offer some ideas of your itinerary and what times os year you needed up in each place. You trip looks amazing and it’s good to see it can be done with young children. We are yet to decide the best way to travel, although have looked at camper and. How did you travel? Any advice on what worked well etc would be grateful. Likely to touchdown around November time and are open to where we start..
We traveled for 18 months. If you’re going up to the Top End you want to go in the winter months. Great content as always. One day i’ll have the determination and confidence to pack up and travel for a long period.